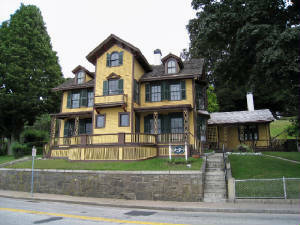 Membership in the Groton Bank Historical Association is open to all who are interested in the history, promotion and maintanence of the historic character to this settlement on the east bank of the Thames River. Annual dues are $20/individual and $25/family. Life membership is $100. To become a member please contact membership chairperson, Denise Descheneaux, 118 Thames Street, Groton, CT 06340. Spring/Annual Meeting April 11, 2011--"Growing up in Groton Bank"--A panel of long-time Groton residents will share their rememberances of life growing up in Groton Bank. The panel, currently in formation will include residents who were born here up to 9 decades ago. They include: Sue Hewitt Bennett, who grew up on Cottage Street; Miles Halliwell who grew up on Beckwith place; Archie Chester; Horace Newbury; and Mario Peruzzotti, who grew up on Morgan Court. Archie and Horace grew up on Eastern Point but to vertually all Grotonites, Groton Bank was the "metropolitan center" in which all spent considerable time. Panelists will relay their activites, childhood pranks, rememberances of neighbors and people they worked for or with, and changes occuring in our neighborhood over the decades. Come join and add your recollections to the fun. 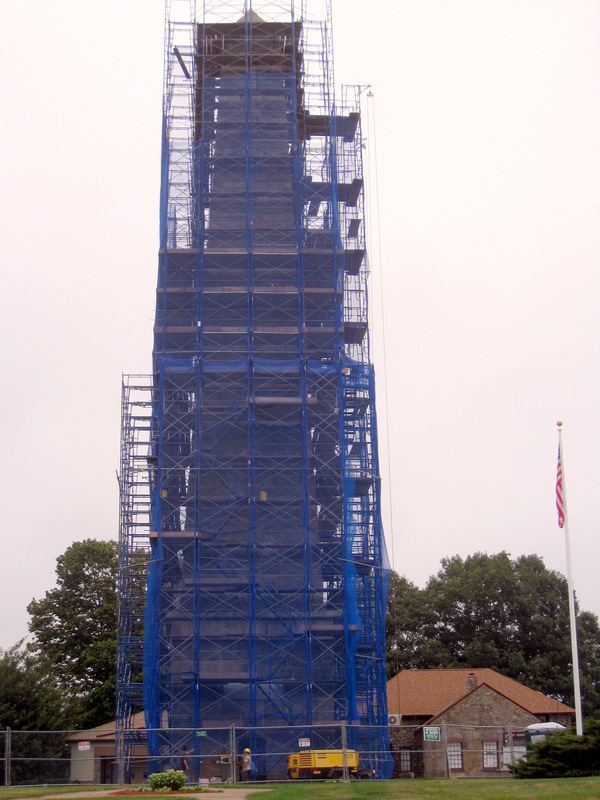 Winter Meeting, Feb 7, 2011--"What's Happened to Restore the Groton Monument"--This past summer the 135 foot high Groton Monument was enclosed in a large cage of scaffolding with blue "curtains". Joe Capasso and Ed Ciarleglio from GL Capasso Restoration Inc., the New Haven structural restoration company, will describe the problems they found and what they did to fix them. Joe, president of the company, trained in Italy as a mason and founded the company when coming to the U.S. in the mid-1960s. Known for his skills in historical restoration, he oversees the company's projects. Ed, the project estimator, has been in the masonry and waterproofing industry all is life and is considered one of the most knowledgeable in the construction field. Connecticut's DEP awarded GL Capasso a $500,000 contract for the project which should be completed in the spring of 2011. 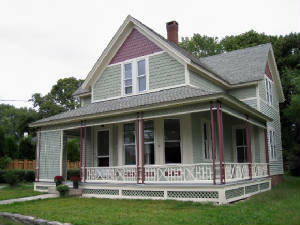 Capasso's many restoration projects include historic buildings at Yale, Amherst College, schools and churches. Fall Meeting of Nov 8, 2010 --Bill LaRoue of the New London Maritime Society will speak about the Custom House Museum and the Polaris Expedition originally led by explorer Charles Frances Hall. In 1871, Hall, who had no sailing experience, set out to be the first to reach the North Pole having named Groton's arctic whaling captain Sidney O. Budington as his sailing master. The expedition set a new record reaching northern latitudes. But troubled with personnel and management problems, dissention of crew and staff, and Hall's suspecious death, it ended short of the Pole. The ship was wrecked and the the crew rescued. Bill LaRoue will discuss this intriguing story and a new Custom House exhibit being built about this venture. Spring/Annual Meeting--April 19, 2010: Edward Baker, Executive Director of the New London County Historical Society spoke about Privateering During the American Revolution. The highly successful commerce-raiding privateers from both sides of the Thames Harbor were a factor leading to the British attack on New London and Groton Heights on September 6, 1781. Last Fall's Meeting--November 16, 2009 was a member and neighborhood potluck Thanksgiving dinner with Dr. Kevin McBride, associate professor of anthropology at the University of Connecticut and Director of Research at the Mashantucket Pequot Museum and Research Center . He spoke spoke about "Thanksgiving Myths and Facts" regarding the occasion in Indian-Colonial times. Winter Meeting--February 8, 2010: Speaker was Jim Streeter, Groton Town Mayor, Groton historian and author of the recent book "Groton Historical Bits and Pieces". Jim discussed topics in his new book including a few about the Groton Bank area. In response to many inquires about obtaining "Groton Bank Historic House Plaques" that display the original owner-occupant and the date of construction, Horace Newbury and Tom Althuis spoke about the research process to determine this information. 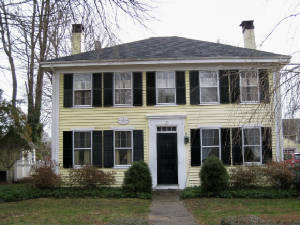 In the past about 90 of Groton Bank's several hundred historic houses or buildings have been researched and have plaques on them. 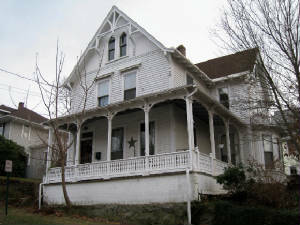 Information on the original owner-occupant and age of the structure relies on Groton Land Records, knowledge of the architectural style of the structure, and information that can be gleaned from maps, old pictures and other sources.